The fact of a doorframe. The project has taken place in many different places over the years, ranging form private homes to specialized public book collections… Taken as a whole, the clusters from each sorting aim to examine that particular library’s focus, idiosyncrasies, and inconsistencies — a cross-section of that library’s holdings. Look out for more volumes soon. 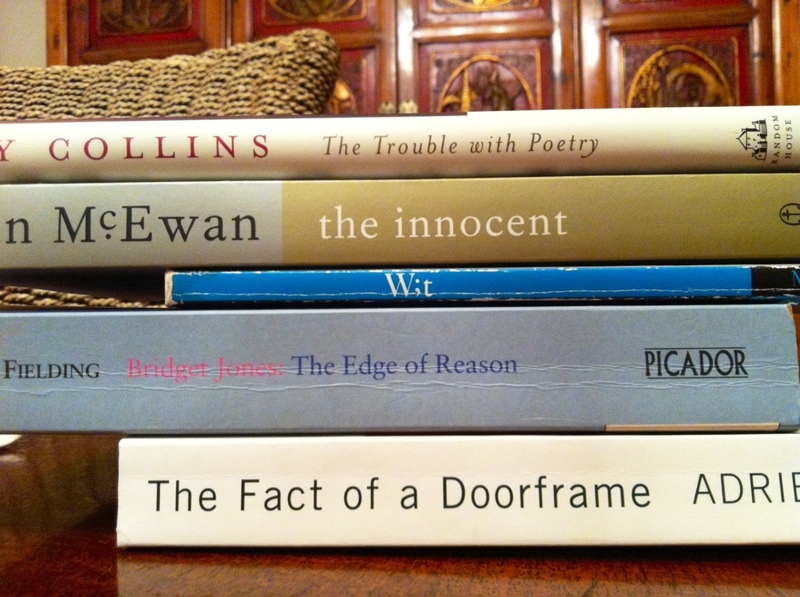 In the meantime, feel free to post links to your own forays into book spine poetry below.